In Japanese, Shun is the precise moment during the year when any particular food is at the peak of its perfection. Shun is when fruit is at its sweetest, when vegetables are perfectly ripe, perfectly fresh, and perfectly delicious. Shun is in harmony with the natural rhythms of the seasons. Shun Cutlery proudly takes its name from this Japanese culinary tradition of preparing and eating the very freshest food at the perfect “shun” moment. 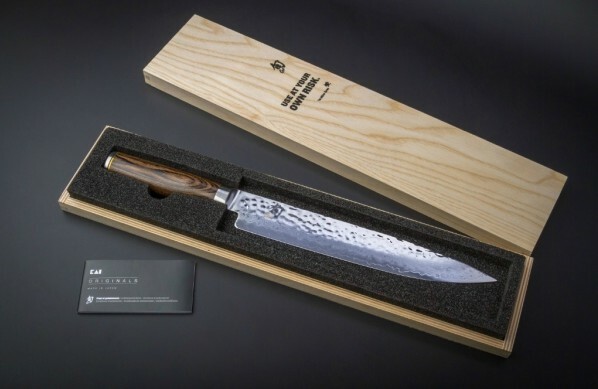 It is a tradition to which the company live up to every day, making fine kitchen knives that are always at the peak of their perfection. 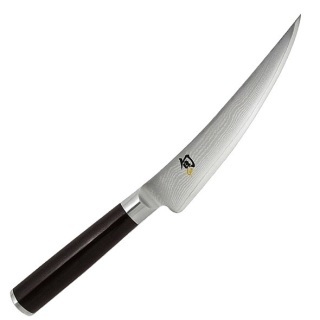 The Kai Shun Pro Sho-series have a blade made of Japanese VG10 steel, hardened to 61 HRC. 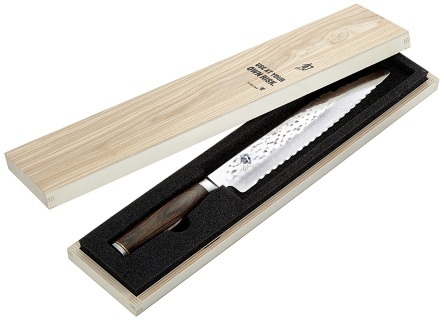 Combined with the special way of sharpening in which one side is sharpened and the other side is made hollow, these knives are a pleasure to work with. They are truly razor sharp. 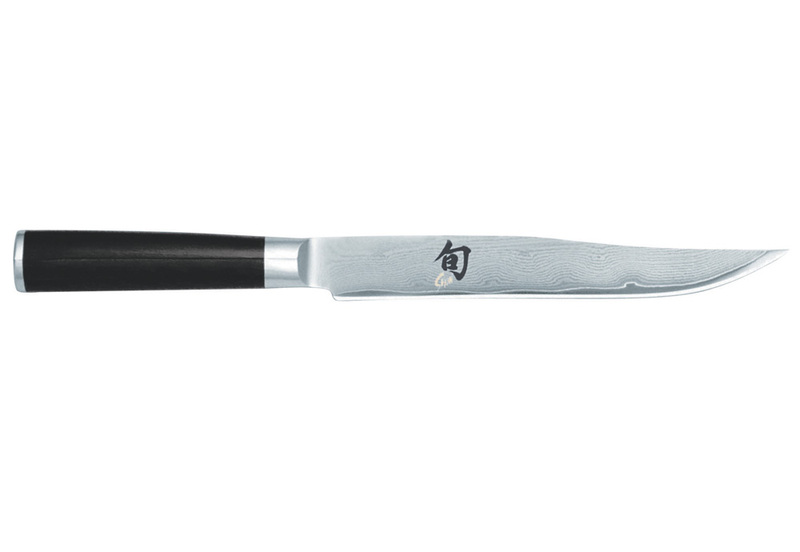 The blade of the Kai Shun Pro Sho-knives is blasted on the straight side which results in a matted surface. The other side is shiny polished and shows a pattern that is made with an innovative etching technique. In homage to the skilled craftsmen of Seki city (the home of Japanese knife production for centuries) Shun have produced a chef knife that embodies tradition and French blade styling.